Don’t miss out on the strawberries and cream at Wimbledon! Catch all the tennis action (including the dubious warbling of Sir Cliff Richard) this summer by hiring one of our top quality minibuses. All of our vehicles at Flash Minibus Hire are chauffeur driven by an expert driver leaving you free to sit back and enjoy a Pimms or two on Murray Mount. 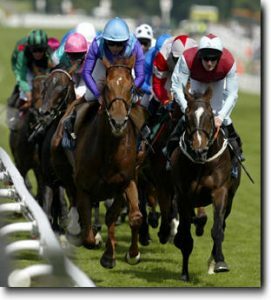 Have a flutter down at Royal Ascot races. Gather all your friends together and jump aboard one of our fully executive mini buses. These superb vehicles offer top of the range facilities such as reclining seats, DVD and CD player and air conditioning. Contact us today to book your travel in style.